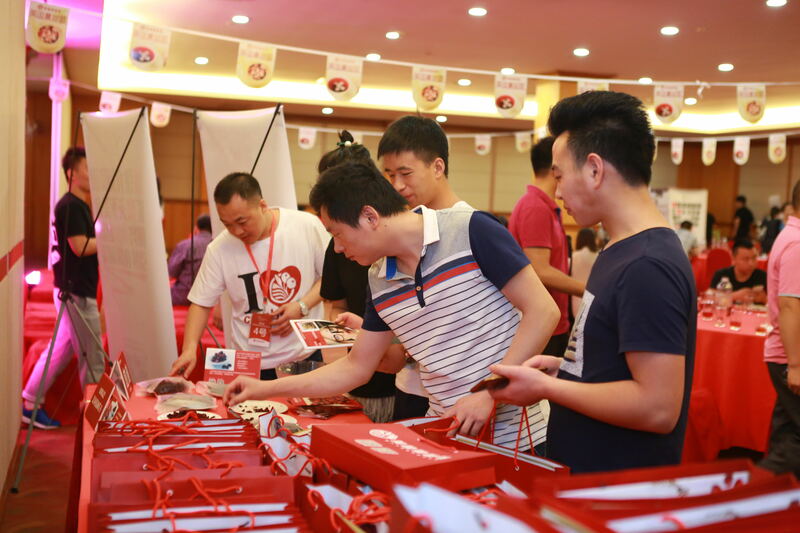 On May 31,2016, 20 contestants from Beijing, Tianjin, and the provinces of Hebei and Jiangsu took part in the 2016 US Cranberry Summer Desserts & Cold Drinks Competition in Beijing. Roseanne Freese, Director of ATO at the US Embassy gave her opening remarks to all participants while Brooks Erickson of from Bryant Christie Inc., consultants to CMC, delivered a presentation on the history and current developments of the cranberry industry. Aniello Turco, Sous Chef of Mio Italian Restaurant at Beijing Four Seasons Hotel, then prepared a number of very attractive desserts in front of the audience. Ma Ren, cocktail master of Beijing’s MINI Bar, next demonstrated the making of several cranberry cocktails while members of Beijing Hong Wei Cold Dishes Club prepared 30 odd cold dishes. 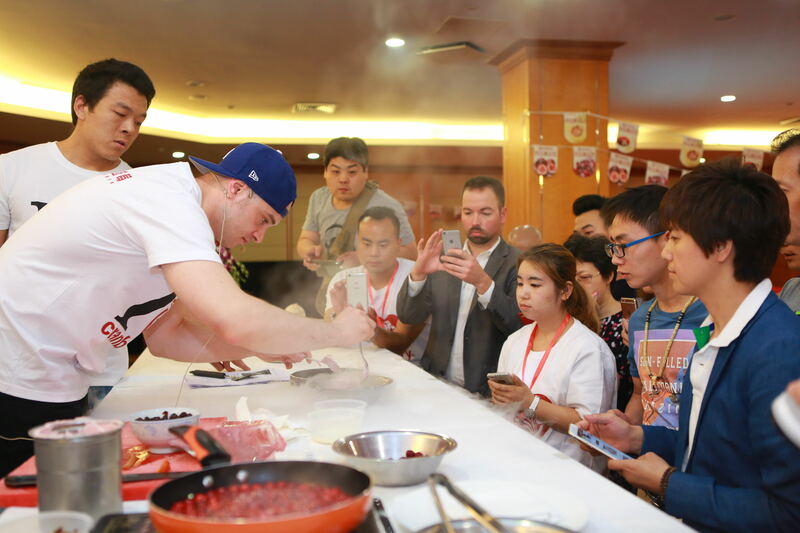 In the afternoon, 20 contestants each prepared two items using frozen and dried cranberries as well as cranberry juice as ingredients – either one dessert and one drink or two desserts. The 40+ entries were very creative and reflected the contestants’ high level of skills and artistic flare in food presentations. 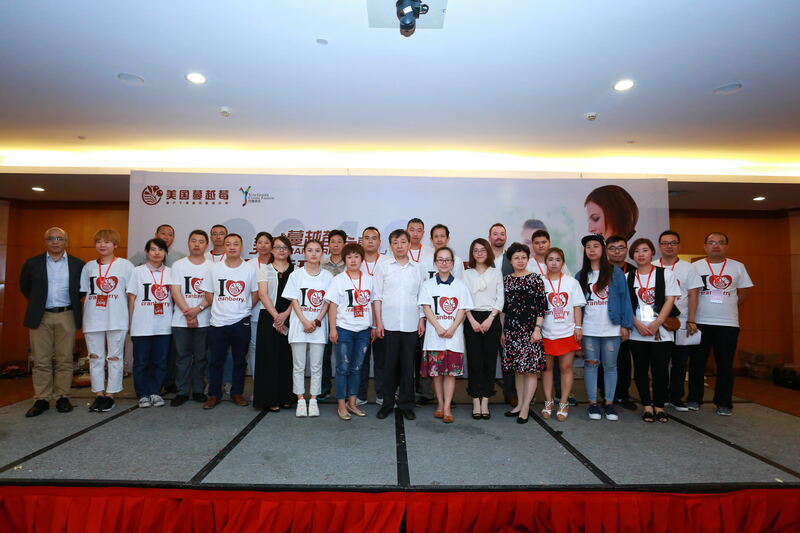 After the close contest, Ma Ren of MINI Bar came first, Ding Jiefei (Ms) was the runners-up, and Wang YuJun of Green MOMC Hotel in Beijing won the third prize. 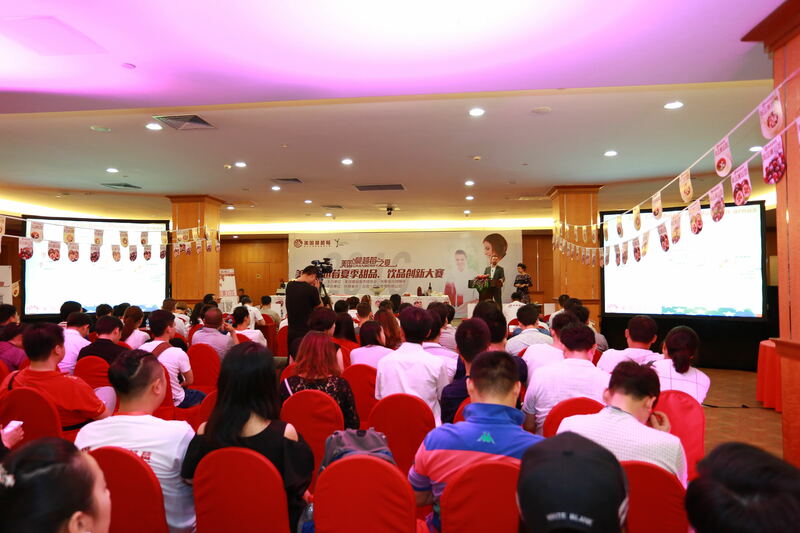 The event on May 31 attracted more than 160 participants including contestants, their support teams, and representatives from the media.